Quickly blend up a wholesome vegetarian caesar dressing in less than a minute! Contains only heart healthy, anti-inflammatory ingredients to nourish you from the inside out. A couple of years ago a friend was telling me that she enjoys my recipes, and asked if I had one for a caesar salad dressing… and I had to sheepishly tell her that I don’t actually like caesar salad. In fact, I always found it rather revolting. I bet you thought everyone loved caesar salad? Well, not me. We decided to serve lasagna at our wedding. 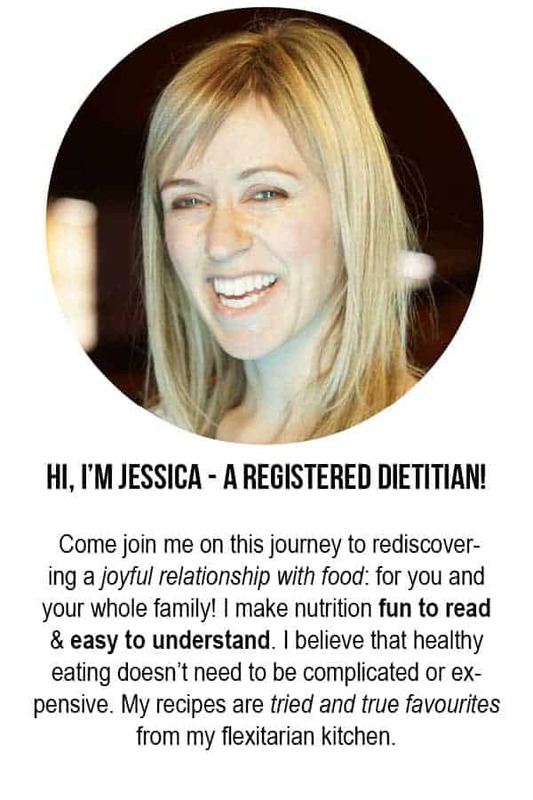 It’s my husband’s favourite food and it fit the bill for the criteria I had: I wanted to serve a main dish that would work across different dietary needs. We had several vegetarian and gluten-free guests and it’s very easy to make lasagna for these diets. That way everyone can eat the same meal and not get FOMO from looking at their neighbour’s dish. Of course you can’t have a wedding meal without a salad course, and in my husband’s mind you can’t have lasagna without caesar salad. So yes, we served a course that the bride didn’t touch! It wasn’t too much of a sacrifice though; I knew I’d be too excited to eat much anyway. 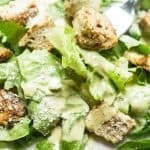 I have managed to avoid eating much caesar salad my entire life, and haven’t noticed any adverse affects of going without it. But I’ve also been working hard on broadening my food palette, so once I got this request for a caesar dressing recipe, I decided it was time to tackle my Mount Everest! I decided I’d try a bite the next time I had an opportunity. I didn’t have to wait long. At the next family meal my sister brought a salad with caesar dressing. With an open mind, but still feeling rather hesitant, I took a bite….. and it was amazing! All my hard work had paid off! I no longer had to sheepishly avoid caesar salads at every social gathering! 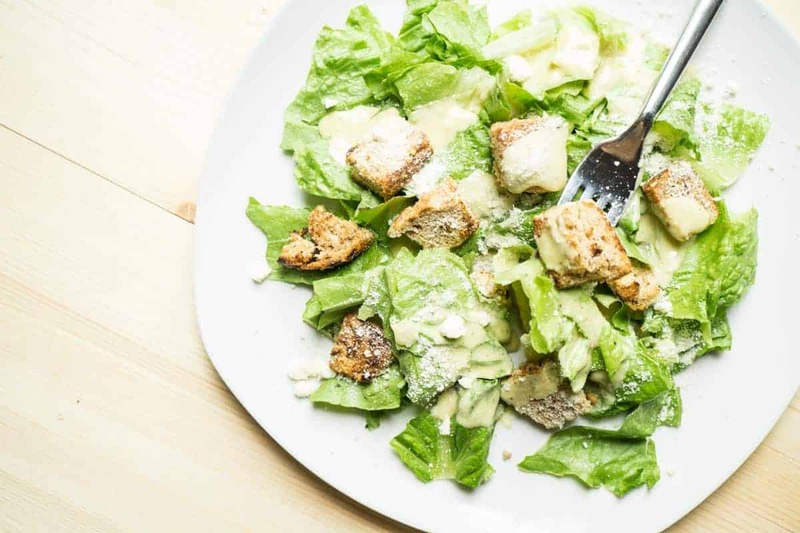 what’s a caesar salad without croutons? 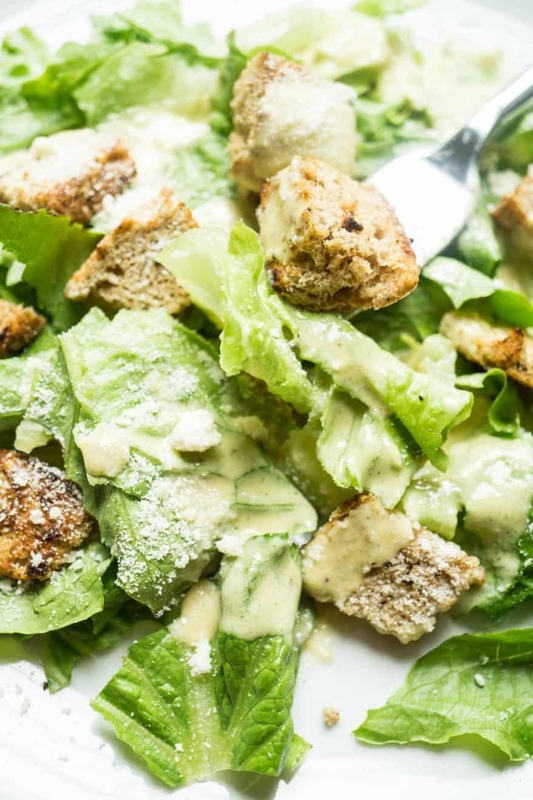 Of course, you’re going to need croutons for a truly delicious caesar salad. Check out my tutorial where I show you how to use bread to make croutons in 2 minutes! Classic caesar dressing is made with raw egg yolks and anchovy fillets. Obviously the anchovies nullify the recipe for vegetarians and the raw egg yolks make it a risky adventure in dodging salmonella food poisoning. The anchovies add a lot of umami flavour to the dressing. Umami is a taste your tongue detects, just like it detects sweet or sour. But umami brings a rich, delicious, earthy flavour. The literal English translation from Japanese is ‘delicious.’ One vegetarian food that adds a lot of umami is nutritional yeast. And, like its name alludes to, it’s packed with lots of vitamins and minerals! Instead of egg yolks, this recipe gets its thickness from the cashews or hemp hearts. While I don’t have anything nutritionally against egg yolks, the cashews or hemp hearts are a lot safer than raw eggs, and they’re also a great choice for heart health! And lastly… a little note about those shelf-stable salad dressings. The first ingredient is usually soybean oil. While I’m a big advocate of whole soy foods such as edamame beans and tofu, I don’t recommend the extracted oil. It’s high in omega 6 fatty acids. Most North Americans are getting enough omega 6 and instead need a little more omega 3 or mono-unsaturated fats! The olive oil and cashews are a good source of mono-unsaturated fats and the hemp hearts are a source of omega 3 fatty acids. Pour into a sealable container (a mason jar works well!) and keep in fridge. Will keep for up to a week in the fridge.